“I believe in Europe..” is the beginning of every question and the end of every answer when issues relating the European Union are discussed – as if an artificial political construct of 28 states were derivative of or synonymous with ancient notions of Christendom or the contemporary family of European nations of around 50 states. Are the 22 independent European states which are not in the EU any less European for not being so? Are they really all xenophobic, insular and self-regarding? I have participated in a total of 21 EU Referendum church debates. Some have been a delight, and some quite dire. I’ve spent six hours travelling to speak to an audience of 14 (no expenses offered), and 15 minutes travelling to speak to an audience of several hundred (generous expenses freely given). I drove 200 miles to find myself lauded as a prophet (always dangerous), and 50 miles to be told by the minister that they weren’t expecting me and didn’t need me (I shook the dust off my feet). I saw all the email correspondence relating to that booking, but really couldn’t be bothered to address the incompetence and discourtesy. I wouldn’t expect to be offered expenses in such circumstances, but a glass of water would have been nice. I have formed opinions on the most and least hospitable denominations. The Baptists win hands down. It wouldn’t be very Christian to shame the worst. Over the past few months, Remain Christians have told me that I’m “peddling myths”; indulging in “crass populism”; “lying” which (I was graciously reminded) “isn’t Christian”; and that my desire for controlled immigration is “really about blacks and Muslims”. In each case, these slurs have come from Christian academics – professors and doctors – one of whom (with his knighthood) was very fond of reminding the audience: “I’m an academic, so I look at the facts” (the inference being… oh, never mind). Most Remain Christians have been kind and attentive to a robust exchange of views, but rather too many talk about Leavers as though we are one step removed from pederasty. I was fortunate – the priest at my local church exhorted us only to think prayerfully about the question and vote according to our consciences. Eurosceptic Anglicans have had to suffer their first and second in command (Justin Welby and John Sentamu) declaring eagerly for Remain as a “personal decision” while somehow making it crystal clear that you are a Bad, Insular Person of you disagree. The world is changing, and quoting Dicey doesn’t quite cut it. Each incremental piece of legislation or regulation from Brussels does not remotely challenge the sovereignty of the UK parliament because i) that parliament is not sovereign; and ii) those who constitute that parliament have consented to every piece of EU legislation and regulation. What is challenged in some shape or form is the sovereignty of the people. When we cannot vote to change agriculture policy, fishing policy, financial regulation, remove VAT, change welfare (etc., etc. ), it doesn’t quite cut it to shout ‘Club rules’. When a British citizen can be arrested here and extradited to languish in a Greek prison for months – no corpus juris; no trial by jury; not even a hearing conducted in his own language – it is the ancient rights and liberties of the freeborn Englishman that are denied. What does that have to do with an economic community? I have listened to and considered carefully what every Remain Christian has told me over the past few months: principally that we must remain to reform the EU; we must somehow make it better, more responsive and more democratic. But I have not heard any Remain Christian set out how we may achieve that. You will not hear concrete proposals for reforming the European Union from anybody, Christian or otherwise. “Of course the EU needs reform!” is perhaps the most overused phrase of this entire referendum campaign, impatiently spat out by many a Remainer finding themselves on the ropes while defending the indefensible EU. But there is never a follow-up sentence explaining how the fundamental, deliberate anti-democratic nature and structure of the EU might be feasibly changed, against the wishes of those who like it just as it is. But love we must, and be reconciled before the sovereignty of the Cross, where partisan posturing pales into utter inconsequence. Hilton is a better man than I. Personally, I really don’t take kindly to being called uneducated and borderline xenophobic, or labelled as some kind of economically left-behind loser who is afraid of the modern world – all of which the bishops have done. I particularly don’t like it because of all the bishops who have declared for Remain, I can comfortably say that I know more about the European Union than any of them. And that’s not a boast – if anything, I am aware of how much I have yet to learn, particularly about the global regulatory environment and the emerging global single market which is making the EU obsolete. But at least I have the curiosity and humility to learn more. The pro-Remain bishops, marinating in their smugness and certainty, think that their tired old tropes about “cooperation” and “working together” are the Alpha and the Omega of the debate. So when we talk about post-referendum reconciliation, I think we need to make clear a distinction between social reconciliation and political reconciliation. Unlike a number of my pro-EU acquaintances, I have never been moved to end a friendship or block/mute people on social media because they hold differing political opinions to me. I have had this done to me, and it is quite wounding when it happens. But at all times I have been happy to courteously debate (or not) with the people I know. It is the duty of those who think otherwise to extend the olive branch, in the unlikely event that they wish to do so. And as for political reconciliation – no. We have passed a point of no return. The prime minister of this country – a man who calls himself a conservative – as lied, threatened, deceived and bullied the British people in order to coerce a Remain vote. There is no forgiving that, politically. David Cameron must go, and his name should be mud, politically speaking. This blog will not rest until that happens. Likewise with many other conservative politicians who built their careers and reputations on what turned out to be the most superficial and cosmetic forms of euroscepticism. Even now, Michael Fallon is going around telling people that he is a eurosceptic, even as he campaigns for a Remain vote. There can be no tolerating such people in our politics either. Some new friends and allies have been made along the journey too, particularly those few principled left-wingers who advocate Brexit on democratic grounds rather than fearing “Tory Brexit” because it might lead to a democratically elected British government implementing policies with which they disagree. Others on the Left – particularly Jeremy Corbyn and commentators like Owen Jones – have clearly betrayed their most deeply held principles in order to support Remain, and are deserving only of contempt. On June 24th, regardless of the referendum outcome, most of us will continue to display common human decency toward one another. It would be a terrible shame if that changed. But there should and will be political consequences for what has transpired over the course of this EU referendum. If, as seems likely, Remain’s project fear wins the day, then they will have committed us to remain in the European Union based on a castle of lies, ignorance and naivety. And there will be a price to pay for that behaviour. 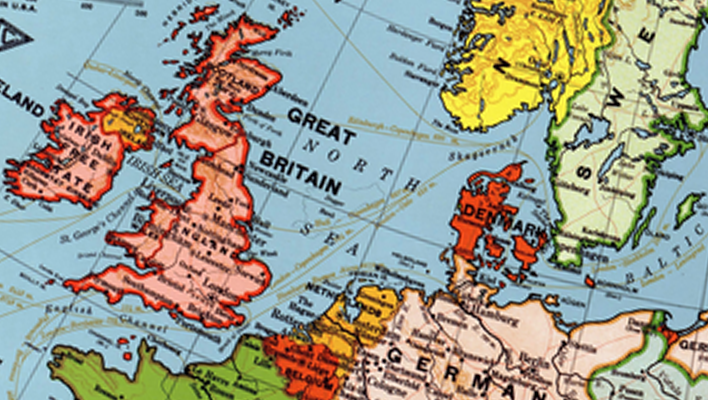 Where Is The Serious Christian Case For Remaining In The European Union? When the Church of England-sponsored Reimagining Europe blog launched last year, I was vaguely hopeful that it might lead to some fruitful discussion about the real Christian case for or against Brexit. Not just the kind of woolly left-wing platitudes which many bishops excel at delivering, but a real granular theological case for why Britain should either remain in the European Union or vote Leave to regain our independence. Fast forward seven months and the promise of Reimagining Europe remains largely unfulfilled. The only really decent arguments have been those guest posts from Adrian Hilton of the Archbishop Cranmer blog, which have effectively demolished the laziest of the Christian cases for staying in the EU. There have been a few other decent commentaries and a large number of hand-wringing prevarications, but as far as I can tell not one unambiguously argued Christian case for Remain. At the same time, placing national identity above our identity in Christ should raise a warning flag. Our own legal system might be underpinned by biblical foundations and Christian heritage, but it is not God-given. Sovereignty should not be absolutised, whether the issue is approached from a practical or spiritual direction. So, should we give up a degree of national autonomy in the interests of the common good? As ever, the question is not cut-and-dried. There may be benefits we enjoy, such as guarantees around freedom of religion, which we would no longer have if we withdrew from the EU. Christians might contemplate the risks of withdrawing from such protections, as well as the attractions of being masters of our own destiny. Immediately there are red flags that this is not a serious analysis, or even reflection. For a start, the author takes it as a given that the European Union is the “common good”, against which national autonomy is perpetually placed in opposition. But why the European Union (with its dogmatic insistence on representing 28 countries with a single voice of compromise) is in the common good is never explained – and not just in this piece. Over and over again in Christian ruminations on the European Union, the most fundamental europhile assumptions are accepted as Gospel. Of course the European Union represents the common good. Then we get the old workhorse about the EU guaranteeing freedom of religion, which is problematic in a number of ways. Firstly, it is profoundly antidemocratic in claiming that the British people should have rights imposed on them by others. Of course we should all have freedom of (and from) religion, but we the British people should establish and maintain this right for ourselves – ideally through a written constitution. The same goes for workers’ rights, which are forever held up by the Remain camp as a scaremongering warning that if we leave the EU, it will be back to seven day working weeks and young children going up the chimneys to earn their keep. Why are so many self-professed Christians so happy for our most fundamental rights to be imposed on us from above, rather than arising organically as the democratic expression of our own hearts and minds? This instinct to remain in the EU is borne out of fear of change and bureaucratic preference, which are understandable human emotions but about as far as one can get from being sound justification for continuing with the current mode of supranational European government. As a Catholic eurosceptic, it is frustrating to witness so many fellow Christians accepting the pro-EU, pro-Remain position almost by default, without actually engaging their brains or making considered reference to their faith. I’m no theologian myself, but I’ve read my Bible and I know that the New Testament offers little by way of clear instruction or even guidance as to how any entities larger than individuals and faith groups should organise or govern themselves, while much of the Old Testament reads as a “how not to do statecraft” manual. If we restrict ourselves then to the teachings of Jesus, from where do Christian EU apologists draw their inspiration? The EU is not a democratic entity, nor is it likely to become one any time soon. What is so Christian about defending an organisation which insulates a continent’s leaders from the practical and political consequences of their rule? What is so Christian about sticking one’s fingers in one’s ears and loudly repeating the mantra “the EU is about peace and cooperation, the EU is about peace and cooperation”, while ignoring the known history of European political union and disregarding the fact that fruitful inter-governmental cooperation could take place just as well outside the EU’s supra-national structure? Regrettably, I have come to the conclusion that much of the Christian case for Remain rests either on a lazy “agree with the Left by default” mindset, or the desire to virtue-signal generally “progressive” values across the board. I will be happy to be proven wrong, and to be presented with a serious Christian case for the EU based on the argument that staying part of a supranational political union unreplicated in any other part of the world is 1) what Jesus would do, or 2) what is best for Christians in Europe. But I’m not holding out much hope. And if that’s what this is really about – cheering on the EU because it signals that one holds the “correct” progressive opinions in other areas – then they picked a really lousy time to do it. Our politics is suffering a crisis of legitimacy, and yet many in the Church have taken the decision to cheer on the one entity which best represents the interests of a narrow European elite overriding the interests of ordinary people. In short, I have yet to see a Christian case for Remain that consists of anything other than woolly, tenuous and unsubstantiated assertions that the EU equals being friendly and co-operating with our neighbours (which, unlike the countries of every other continent in the world, can for some reason only be accomplished in Europe through a supra-national government), and that if we vote to Leave we will essentially be voting for war and the stripping away of religious freedom. Well I’m sorry, but that facile level of argument is not good enough. I’m still waiting for serious theologians or senior figures in the Church hierarchy to put forward one good reason why Jesus would favour Britain’s participation in a remote and antidemocratic-by-design government of Europe. If staying in the EU is so goshdarn godly, let’s hear why, without recourse to the fluffy, prevaricating jargon about ecumenism and friendship which Christian EU apologists tend to deploy like chaff to distract us from the paucity of their argument. And let them explain too why they are so desperate for continued political union in Europe, yet utterly blasé about the fact that Asia, Australasia and the Americas get by just fine without such a union. There is a fight for self-determination and democracy underway right now, and far too many voices within the church are coming down on entirely the wrong side. Those who stay silent or openly advocate for Remain will justifiably find themselves on the hook and personally implicated in every future crisis which befalls the EU, and will bear some responsibility for each incremental unit of economic and political suffering experienced by Britain as a continent glued together by unwanted, inflexible political union slowly begins to rip itself apart. The clock is ticking, and there is little time left for Christian Remainers to defend or amend their position before they go on to face the judgement of history. Should bishops in the Church of England (or indeed the leaders of any other religious denomination) be free to speak their minds on the subject of Brexit and in advising their flocks how to vote in the coming EU referendum? Of course they should. To suggest otherwise would be an unconscionable encroachment on religious liberty – the only exception being the intolerable Lords Spiritual whose anachronistic and unwelcome presence in the House of Lords makes Britain, like Iran, a technical theocracy. But while non-political bishops have every right to express an opinion on Brexit, so we have the right to criticise their thinking on the subject, which tends to be woolly at best, and arrogant with a twist of elitism at worst. So we read that the Brexit “nightmare” would be “very sad” because it would mark a return to “competing nationalisms” and “very dangerous times”. The EU has been “integral in delivering seven decades of peace and economic security”.We must resist the “widespread rise of populism” because “we are European” and “have nothing to fear or to lose if we remain so”. The Bishop of Leeds, Nick Baines, wants a ‘Third Way’, but that isn’t on the ballot paper. And the Bishop of Willesden, Pete Broadbent, aims directly for the Tories, but this isn’t a general election. As you see, it’s all impeccable political neutrality with rigorous episcopal impartiality. The laity and other clergy will, of course, make up their own minds, but what manner of neutrality is it when CofE comms tells the media that the institution is neither for remaining nor leaving, while many in the House of Bishops preach the Gospel of Remain? Would a bishop ever tweet that his (or her) “nightmare” would be to wake up to a Corbyn premiership? What guilt does the prospect of voting for the Bishops’ (it probably is plural) Brexit “nightmare scenario” inculcate in the spiritually-discerning democratic intellect of the laity and subordinate clergy? Some say we’d be poorer; others that the cost of holidays would rise; still others that our power stations would go dark and terrorism would increase. There is equal expert opinion to the contrary in every case, and it’s hardly four-horsemen-of-the-apocalypse stuff, is it? The matter of whether our national destiny is to be bound in perpetuity to an anti-democratic United States of Europe which is creeping, ratchet-like, toward continent-wide assimilation and uniformity cannot simply be distilled to short-term economic interests or security scaremongering. I can understand Bishop Andrew’s desire to sustain a political union which is ostensibly based on sound Christian principles such as subsidiarity and solidarity. But, as Philip Booth has shown, the EU is antithetical to the very concept of localism, notwithstanding the letter of Maastricht. And I feel sure that the Greeks, Spanish, Italians and Portuguese might balk at assertions that the EU project is any longer concerned with fraternal solidarity, mutuality and social harmony. This isn’t an organic social contract for diversity, liberty and limited state power, but a fabricated mechanism for the enforcement of national assimilation. When you’re locked – seemingly irrevocably – into a model of “economic governance” which hinders growth, destroys jobs, increases poverty, and leads mothers to abandon their children on the streets and fathers to commit suicide, I have to put to Bishop Andrew that his Brexit “nightmare scenario” would be welcomed by millions of Greeks as a dream of Grexit bliss. The bishops’ willingness to swallow pro-EU talking points and then arrogantly sound off in public about how the EU has “kept the peace” and “delivered prosperity” is not just intellectually lazy. I would charge that it is a failure in their duty of pastoral care to all Christians in their flock, to accuse those who want Britain to leave the EU of trying to bring about a “nightmare scenario”. Since when did believing in national democracy and sovereignty based at the level of a commonly understood demos represent a “nightmare” for the Church of England? Since when did the concept of self-determination (as opposed to slavishly following a pre-determined path toward unwanted European political integration set in motion decades ago) become unwelcome? And why is the Church willing to wring its hands and worry about human rights abuses and dictatorship abroad, but turn a blind eye when the rights of its own fellow citizens to determine the course of their own future is suppressed by Brussels? At its root, the pro-European instincts of many bishops seem to rest in a desperate, stubborn insistence in seeing the world – and the European Union – as they would like it to be, rather than how it actually is. As Hilton suggests, the idea of the bad aspects of nationalism being eroded and replaced by shared European values of a vaguely left-wing bent of “subsidiarity and solidarity” is all well and good. But there is no European demos, and the relentless march toward further integration in the absence of a shared feeling of European-ness above national identity will only compound the simmering resentment. The Church of England would clearly love nothing so much as to operate in a world where the nation state was consigned to the history books, and where we are primarily governed at a European level – no doubt as a stepping stone toward one world government. And they are entitled to that worldview, premature and perverse though it is. But the Church and her bishops should at least show some embarrassment and contrition at the fact that by casting any concern for democracy aside and throwing their lot in with the European Union, they are helping to impose an elitist vision of a politically united Europe which more people vehemently oppose than have been scared and bullied by the Remain campaign into meekly supporting. It is not the job of any Christian (least of all me) to judge another’s adherence to and practising of their faith, and so I will pass no comment on whether Andrew Watson’s gnawing fear that the British people might vote for self-government makes him a bad Christian. But I will say without hesitation or apology that it does make him a bad citizen, a weak example of a community leader and an emblem of everything that is wrong with the established church’s continued role in the political life of our country. Adrian Hilton of the excellent Archbishop Cranmer blog has a very noteworthy piece in Reimagining Europe, making the rare (but very welcome) argument against the European Union from a Christian perspective. Unlike many politicians and most bishops and other circulating elites, I don’t equate historic Europe with the political civic empire called the EU, and it seems that my desire for UK secession from this artificial construct makes me ‘un-Christian’. How welcome these words are. The lazy but insidious notion that the continent of Europe and the political construct known as the European Union are one and the same thing is hugely damaging yet near-universally held. People worry about “leaving Europe” as if by leaving one particular (very expensive) geopolitical club, Britain would literally be levering herself away from the continent of Europe, walling ourselves off in Fortress Britain, when this is clearly not the case. But the lazy belief that British membership of the European Union is somehow as logical and essential as our geographical location within the continent of Europe is widespread, and so it is unsurprising to see it mindlessly repeated by the Church of England. You see how the caricature goes? The EU is ‘top table’ (though it really isn’t, but that’s another blog post), and Christians who favour UK-EU secession become isolationist, xenophobic, un-(anti? )-Christian ‘little Englanders’. He didn’t say ‘fruitcakes, loonies and closet racists’, but he might as well have done. My ‘idea of Christian’ is self-evidently blinded by nationalistic bigotry and naively fomenting apocalypse. No matter how much you try to reason back with gracious statistics, humble facts and philosophical insights, the inference is clear and crushing: there is no place in the Church of the Enlightenment for those who identify with the narrow, sectarian parochialism of a national democratic polity. No informed, intelligent or discerning Christian could possibly be so spiritually witless or theologically illiterate as to advocate withdrawal from the EU. But of course there is nothing Christian about allowing the United Kingdom – our flawed but essentially decent democracy – to be subsumed into an explicitly political supranational union which is the peculiar, flawed vision of founding fathers who – unlike their American predecessors – are largely unknown and unloved, because their elitist vision for technocratic governance so utterly fails to resonate in the hearts of Europe’s citizens. Neither is there anything “moral” or Christian about divesting ourselves of judicial, legislative and executive sovereignty, only to slowly and stealthily transfer and pool those powers into an entity with which most of us feel absolutely no heartfelt love, affiliation or loyalty. I support the Leave campaign not because I desire economic isolation or social exclusion from the Continent, but to extricate the UK from the unaccountable elitist pursuit of unending politico-economic integration at the expense of democracy, accountability and liberty, which, to me, are perfectly sound biblical principles. Ask a europhile how these principles are to be preserved in a European Union of relentless, unapologetic political integration and you will be met with a very long silence. Ask a europhile how they plan to preserve democracy when they undermine the nation state at every turn, and give its powers to a supranational organisation which commands no feeling of affinity, and you will get tumbleweeds. Because they have no answer. Either they have not thought the issue through, or – far more frightening – they have thought about the ramifications for our democracy, but simply don’t care. We, the governed, ask ‘Who governs?’, and the answer is lost in a pathology of bureaucracy and unfathomable institutional structures which seem purposely designed to convey a façade of democracy while shielding the executive elite government from the inconvenience of elections. We are governed by a wealthy, supranational, technocratic oligarchy, and no popular vote can remove them or change the direction of policy. This might fulfil Lord Deben’s apprehension of righteous government, and I am sensible to the fellow-feelings of European humanity in its unanimous yearning to eradicate civil strife and internecine war. But all I see are disparate peoples desperate for the restoration of national identity against the failures of forced continental integration. UKIP. Front National. The Danish People’s Party. Jobbik. The Freedom Party. Finns. All across Europe, eurosceptic parties – some mainstream, some more extreme and less pleasant – are flourishing because of a growing number of citizens who have had enough of enforced European political unity and remote government-by-technocrat, and who would much rather that meaningful power returned from Brussels to the level where they feel a sense of belonging – be that their region, province or country. Too often – at least in Britain, with the media’s patronising and dismissive coverage of UKIP leading up to the European and general elections – we explain away these populist movements, or belittle their support base by suggesting that they are all economically left-behind losers or curtain-twitching village racists. And it’s partly true, only not as an insult. If you are a well paid professional in rude financial health you can better afford to be a consumer rather than a thinking citizen. You can use your vote to signal your virtue (anyone but UKIP!) or advance your lazily thought out utopian daydreams, with little fear of the consequences. But those of our fellow citizens on the sharp edge of globalisation – those whose livelihoods are impacted by deindustrialisation, new technology, outsourcing and the information economy – tend to see things differently. This doesn’t mean that we should adopt every nativist, protectionist policy that comes along – because barriers to trade are never the right answer. But it does mean that we should acknowledge that the eurosceptic parties of the Right and the Left are at least asking some important questions that the mainstream parties, trapped in their centrist consensus groupthink, have consistently failed to do. And too often the Church has sided with the establishment, reflecting the voice of the political class and the prosperous middle class rather than the informed citizenry or the imperilled working class. Worse still, it has done so while shamelessly dressing itself in the robes of enlightened internationalism, progressivism and virtue. If nothing else, it is encouraging to see that thanks to the likes of Adrian Hilton, they will no longer be allowed to do so unchallenged. More semi-partisan commentary on Re-imagining Europe here and here. No-one seems to have much memory any more of the centuries of incremental British liberty, stability and fraternity which preceded these past few decades of European equality, bureaucracy and oligarchy. The pebbles of 1973 and 1975 grind down the cornerstones of 1215, 1534, 1628, 1679, 1689, 1701, 1706, 1829, 1928… I could go on, but few of these dates resonate any longer against the incremental attrition of ‘ever closer union’ couched beneath ‘unity in diversity’, in which cultural difference and historic detachment must be subsumed to an overarching judicial-political construct by which our national freedoms and individual unfreedoms are now defined. Now we are to decide our European destiny again by referendum, but this time we must be told the truth: we either leave to pursue a future that is contiguous with our past, or we stay to be absorbed into a United States of Europe, which is already being rolled out as “economic governance” – just ask the peoples of Greece, Ireland, Spain, Italy and Portugal. The “democratic deficit” cannot be fixed: the whole project was designed at its inception to bypass the capricious and unenlightened will of the people. Democracy is an inconvenience: the epistocracy knows best. We were lied to. Sorry to be so blunt, but that’s the history. If my parents and grandparents had been told back in 1975 that their voting to remain in the EEC would eventually mean that a market trader would be arrested for selling a pound of bananas, or a young student could be carted off to a Greek jail and deprived on his ancient rights of Habeas Corpus and trial by jury, they’d have voted to leave. And that’s what I’ll be doing, whatever honest, sincere or cast-iron guarantees they decide to give.